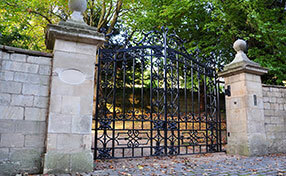 Our gate repair experts reveal handy information about taking care of your gates. My gate remote seems to be malfunctioning, what do I do? With electric operated gates, a remote control is needed to operate it. More often than not, the remote control becomes defective. Some remotes can still be repaired while others needs total replacement. Experts from Gate Repair Newhall recommend that to first check the remote to assess the real need. If a replacement is needed they advise you to get the best kind. I need a gate for my new warehouse, what will I get? Gates should be functional, convenient to use and secure the safety of all. For your requirements, according to an expert from Gate Repair Newhall, you should be getting a heavy duty steel gate for your warehouse. 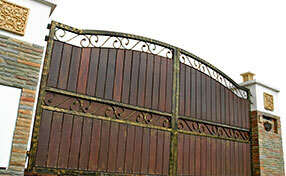 A gate that is operated with remote controls and complete with safety features is the right gate for warehouses. A gate that spells security and safety is what you need. What are the force testing points for a rising arm barrier? If someone walks under a rising arm barrier while it is closing, it can be potentially fatal. So to secure the area, the use of photocells is recommended by gate repair Newhall professionals. In addition to force testing, safety edges can also be used. How do I prolong the lifespan of my gate? Our experts in Newhall often tell customers to conduct basic maintenance and inspection routines so their gates last longer. Greasing and oiling hinges are a must to prevent rusting. Also, simple tasks like cleaning debris off the hinges and arms can go a long way. Replace the remote batteries regularly to prevent any trouble with the working of your opener system. Sliding gate wheels or rollers are very important components as they are responsible for the smooth movement of a sliding gate as it opens or closes. These sliding gate rollers are the most abused part of a sliding gate. As such, gate repair experts recommend the use of premium quality wheels to avoid the frequent need for repairs or replacement. What do I do if my automatic gate won’t open? Check off the most obvious things first: gate power supply, any obstructions to the gate track and chain, and your remote control’s batteries. Don’t panic and observe these well. If something’s amiss or doesn’t sound right during operation, it’s best to call professional services right away. What are the advantages of solar powered gate? A solar powered gate will collect energy direct sunlight and store this electricity in a specially designed rechargeable battery. A solar powered gate requires no connection to a mains supply. It should help to lower your electricity bill well into the future, and will be a huge sign to those around you that care about sustainability.